Usage of our Tee Talkies website and ordering with Tee Talkies either online or offline are subject to the following terms. While there is no option for a customer to cancel the order on their own once the payment is made, if you can get in touch with Customer Care (support@teetalkies.com) within 24 hours, we can try to cancel it, provided the print shop has not already started the production. If the cancellation request happens after 24 hours or if production has been started already, we cannot entertain any request. How to change my Design? Designs can be changed before it gets printed. Screen making charges applicable extra for screen printing. Orders in which any change requests have been made can be delayed from 2-7 days based on the change requested. 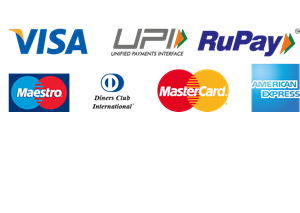 There is a minimum cancellation fee of Rs.20 which is charged to cover the payment gateway charges. The remaining amount will be transferred after deducting this charge. Disputes if any would be subject to Coimbatore Jurisdiction and Coimbatore Courts.